There are 45 bespoke, state of the art laboratories across key research themes of energy, health, manufacturing, and future cities – which support innovation and research demonstration. This is complemented by the Power Networks Demonstration Centre (PNDC) which hosts a fully operational HV and LV demonstration network and dedicated team of research, technical and support staff. Description: The Institute for Energy and Environment at the University of Strathclyde offers the experimental facility “Distribution Network and Protection Laboratory”, D-NAP. This comprises a 100kVA microgrid that can operate grid connected or variously islanded, integrated with a real-time digital network simulator and protection injection laboratory. The facility offers hardware-in-the-loop capability, and incorporates induction machines, programmable load banks and various 1/3 – phase inverters. Description: The High Voltage Technologies (HVT) and Electrical Plant Diagnostics Group is engaged in fundamental and applied research covering electrical plant, pulsed power technologies and high voltage (HV) materials and components.HVT has a strong track record of pioneering research into many practical applications of HV technology and has spun out four successful companies in recent years. HVT research covers a range of challenging topics, including ultra-fast high energy switches for particle beam fusion experiments; measurement and location of partial discharges in electrical insulation; inactivation of bacteria using electrical impulses, and diagnosis of defects in HV equipment such as GIS, transformers and cables. Description: The Power Networks Demonstration Centre (PNDC) offers an ideal platform to accelerate the development of these technologies through its staff and facilities, and to reduce delivery risk. Through the use of a fully operational HV and LV demonstration network (operated either as a grid connected or as an islanded system), integrated with state-of-the-art communications and monitoring equipment, as well as other bespoke integrated functionality, i.e. dedicated fault throwing capability. PNDC is playing a key role in accelerating emerging technologies towards commercial deployment in a realistic, controllable environment. For an enhanced RTDS capability of the laboratory, two new RTDS cubicles are available, integrated with a 1MW motor-generator set to enable PHIL testing. Among other scopes, the PHIL setup is used for testing wide area control systems which are utilised to provide fast frequency control in situations of grid disturbances/faults. Description: PNDC has capabilities for researching and demonstrating the interaction between the grid and electric vehicles. The facilities include plugin AC and DC charging stations connected to the 400 V network and a wireless 60 kW inductive charging station for heavy-duty vehicles. The network is controlled using an RTDS or SCADA and can run between 49.6 – 61 Hz. This allows investigations into network effects on vehicle charging processes and battery life and the use of smart grid components such as distributed storage and generation. 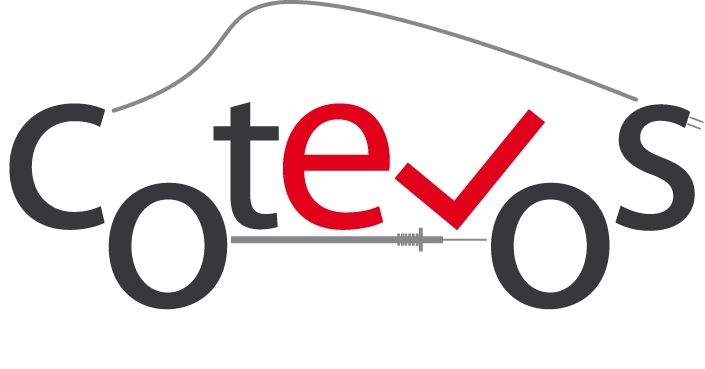 There is also a unique tool to investigate and model vehicle state of charge to support control and forecasting as well as passenger comfort. All laboratories comply with the common DERri test protocol. International Journal of Distributed Energy Resources and Smart Grids: Special Issue on Grid Integration and Interoperability Assessment of Electric Vehicles, DERlab, 2015. IEEE Transactions on Smart Grid, IEEE, 2015. European Safety and Reliability, 2016. Developments in Power System Protection, IET, 2016. IEEE Electrical Insulation Magazine, IEEE, 2016. IEEE Transactions on Power Delivery, 2016 (accepted). DOI: 10.1109/TPWRD.2016.2602306. IEEE Smart Grid Communications (SmartGridComm) Conference, 2016. IEEE Applied Measurements for Power Systems (AMPS), 2016. IET Developments in Power System Protection (DPSP), 2016.. Physical hardware-in-the-loop modelling and simulation. Smart Grid Handbook. John Wiley & Sons Inc. 2016, ISBN 978-1-118-75548-8. IEEE Innovative Smart Grid Technologies 2016 Europe Proceedings. IEEE, Ljubljana, Slovenia. Transitioning from centralized to distributed control: using SGAM to support a collaborative development of web of cells architecture for real time control. 2016 IEEE PES Innovation Smart Grid Technologies, Europe, 2016. 15th Wind Integration Workshop 2016. Proceedings of 2016 IEEE Innovative Smart Grid Technologies (ISGT) Conference Europe 2016. 16 IEEE International Conference on Environment and Electrical Engineering, Florence, Italy, 7-10 June 2016. Abstract accepted in CIRED 2017, Glasgow.